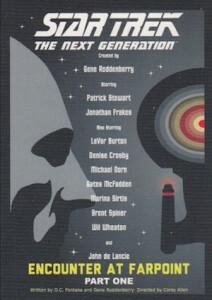 2015 Rittenhouse Star Trek: The Next Generation Portfolio Prints Series 1 is the first half of a TNG set centered around artwork. Boxes promise three autographs. 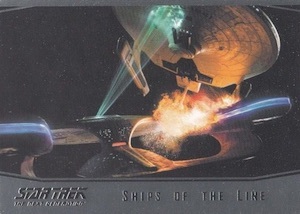 Similar to the 2014 set for Star Trek: The Original Series, the majority of the base cards and inserts feature episode art from Juan Ortiz. 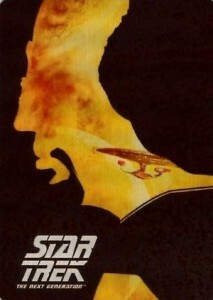 Covering all 177 episodes of Star Trek: The Next Generation, each of the first 89 episodes are covered via base cards in Series One, with the remaining 88 coming in Series Two. Gold parallels average one per box and add a facsimile autograph from Ortiz. 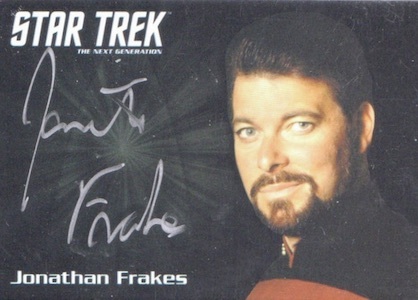 Dropping three per box, Autographs are a main component of 2015 Rittenhouse Star Trek: The Next Generation Portfolio Prints Series 1. 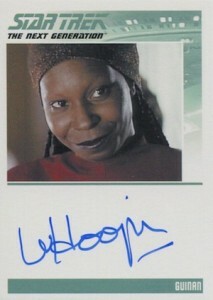 The deep checklist contains a variety of signers, including Whoopi Goldberg as Guinan, Brent Spiner as Data and Jonathan Frakes as Riker. 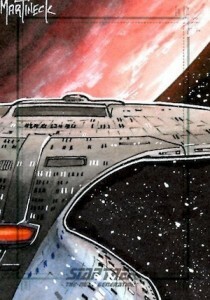 Color Sketch Cards are another premium hit, averaging one per case. 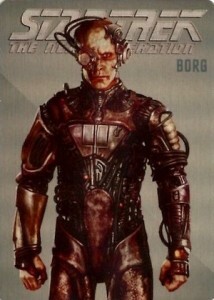 Offering an added chase element, several inserts are available. 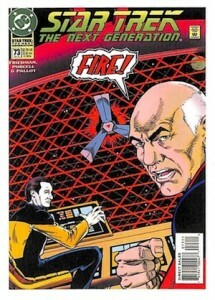 This includes TNG Comics 1989 Series Bonus (40 cards - 1:24 packs) and TNG Comics Archive Cuts Bonus (40 cards - 1:48 packs), which include an authentic panel from the 1989 comic series. 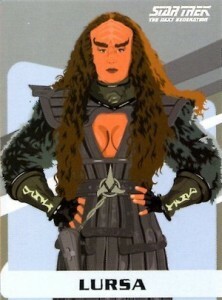 TNG Universe Art Bonus Character (9 cards - 1:24 packs) and Ships of the Line (9 cards - 1:48 packs) are other options. 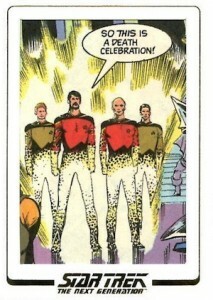 The rarest of the bunch, TNG Metal Bonus (10 cards) are numbered to 100 or less and fall one per case. Sold separately, an album for the release includes a bonus promo card. 89 cards. Shop for base sets on eBay. The base set is skip-numbered. Prints Runs: Extremely Limited = 200 or less, Very Limited = 200-300, Limited = 300-500 range. 1:288 packs. Tentative artists listed below. 5 cards. 1:576 packs. Serial numbered #/100. CT1 "Make It So, Number One!"